When it comes to our photography and the content that we generate, we've always felt it important to follow our hearts. 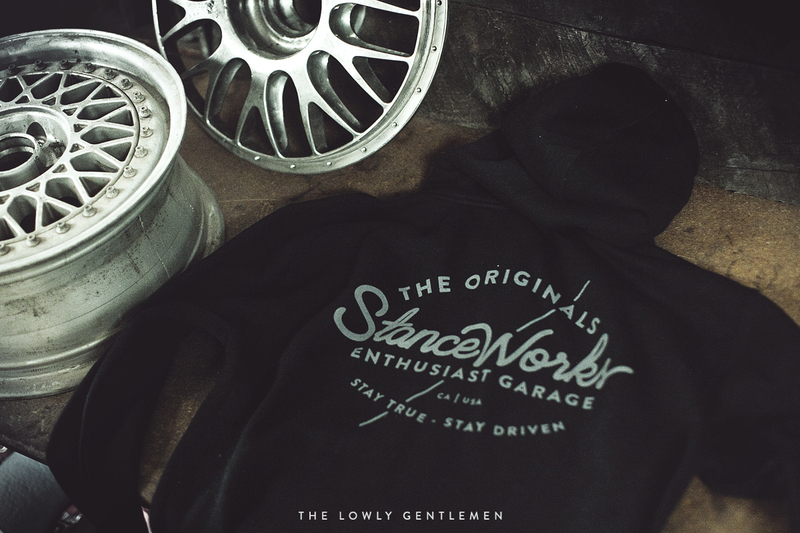 Our passion for cars drives us forward every day to create the things that you find here on StanceWorks, and I follow the same motivation as I design the goods that grace the Lowly Gentlemen store. 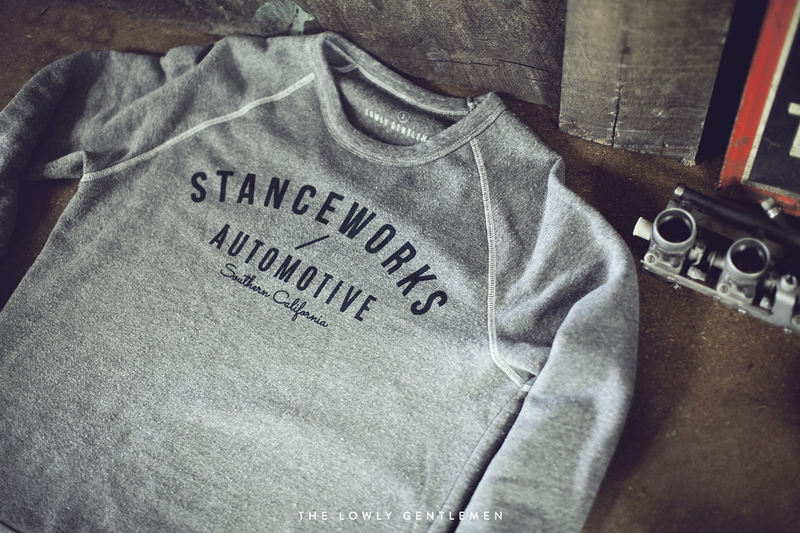 The 2016 Winter lineup was designed to provide some of the goods that we would line our closets and it was in that genuine desire that we were able to create a collection that was true to the StanceWorks passion. When I noticed that Mike began wearing hats into the office more often each week, I knew it was time to finally consider a pair of StanceWorks hats. His collection continued to grow as he found various old race hats in the rows of the local swap meets. It made sense that a few StanceWorks hats should join the ranks and sit among the old drag-strip trucker hats on his dresser, so I turned to designing patches that fell in line with the old motorsport logos of the golden era. The 6-Panel Hybrid Snapback [pictured above] is made of Khaki Coduroy with a Navy Blue Suede brim, and it's right at home on the mountain trails with its quality construction and thick fabric. 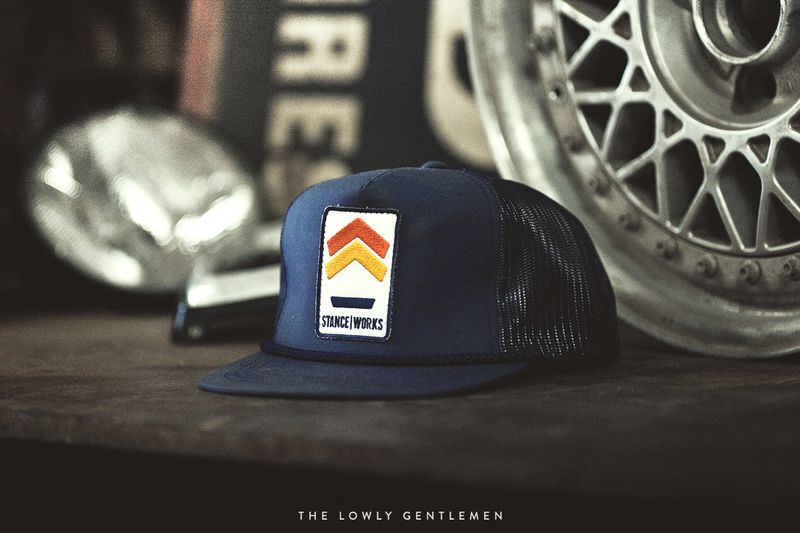 On the other hand, the StanceWorks Trucker Hat aims at the race grid and draws much of its influence from the old team hats that you'd find at a 70s race. 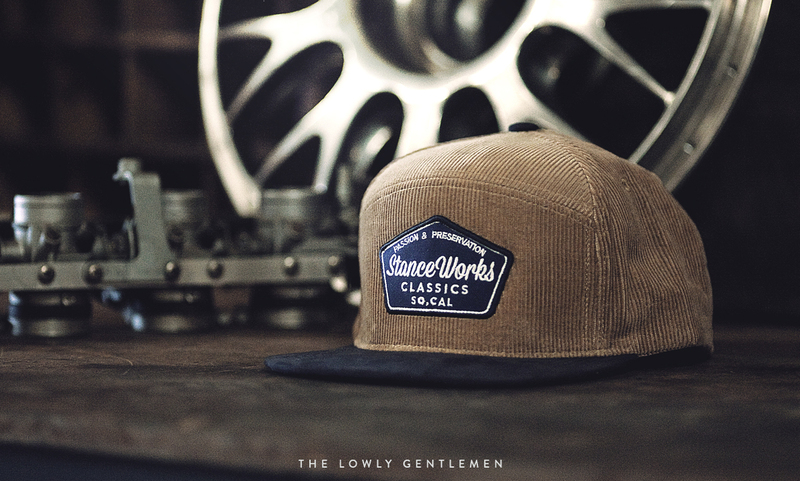 To follow the retro styling we opted to have the patch machine sewn by hand to adorn the hat with a StanceWorks Pentagon logo variation. Another staple in our closets are the hoodies and sweatshirts that make winter nights in the shop tolerable. With these pieces making regular appearances in our wardrobe through the cold months, I went with simple designs that would offer a subtle style while working with any outfit. The black zip-up hoodie is made from a heavyweight cotton and features a design that marks our 7th year at StanceWorks. 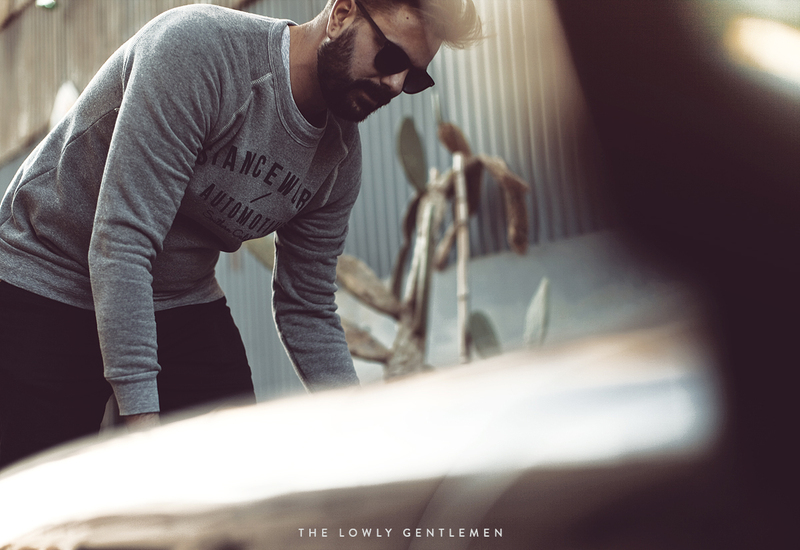 The heather gray crewneck sweatshirt is one of the most comfortable sweatshirts that we've worn in a while and the navy blue StanceWorks graphic across the chest gives it a genuine, classic feel. I rounded out the collection with a piece that I've been personally dreaming of for a long time now. I'd always seem photos of race teams crowded around the old race saloons as they tinkered in the pits and their matching team jackets caught my eye. 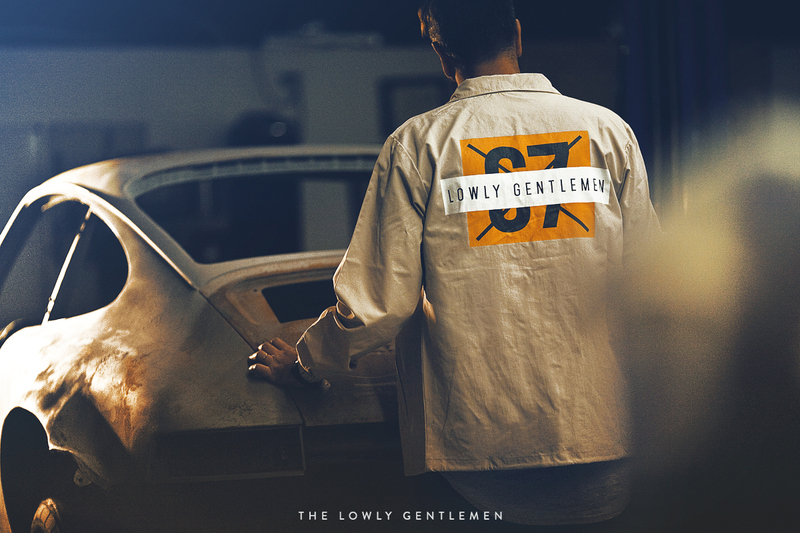 With those images in mind, I turned to designing a Lowly Gentlemen windbreaker for our time at the track and at car shows. 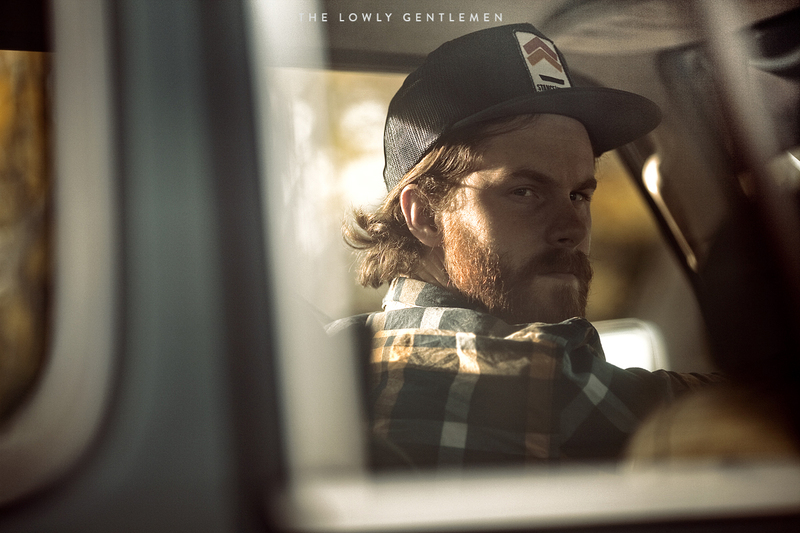 The Lowly Gentlemen Paddock Jacket is a nylon windbreaker that offers water resistance in inclement weather and protection from the cool morning winds. Antique brass snaps continue the vintage style up the front of the jacket, with under-arm brass grommets providing relief when the muggy weather rolls in. Is it possible to buy them in europe ? Can someone tell me what’s on the front of the hoodie? Same wording or blank or what? 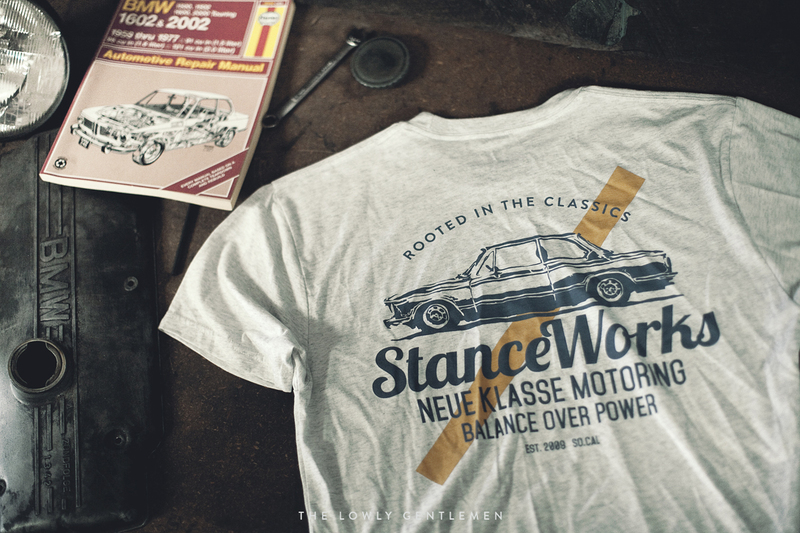 @e30rik – They are zip up hoodies and on one side of the chest it has a small “StanceWorks Enthusiast Garage” in the same script as the back. yao Yes, we ship them worldwide. I’m looking for stance work patch. Want to know if you still sale them.